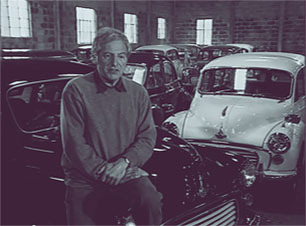 Thank you for choosing Charles Ware’s Morris Minor Centre. 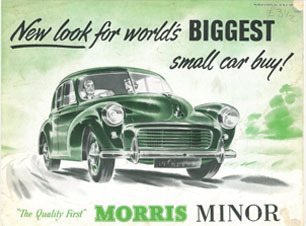 We are uniquely placed to supply the full range of quality parts and accessories for the Morris Minor. If you have the opportunity, we invite you to visit the centre and see all the work we do to maintain and restore your Morris Minor. All prices are displayed exclusive of UK VAT at 20% (where applicable). Please note EU countries may be charged at their local VAT rate, countries outside the EU will not be charged VAT. All prices are per unit (unless otherwise stated) and do not include postage & packaging. Charles Ware’s reserve the right to alter specifications, quantities, prices and/or applicable discounts without prior notice. E&O.E. This may be due to packing restrictions, used part availability, a special order or the product hasn't been activated for direct online ordering. Where a product is not available it will be shown as out of stock. It may be a special order - such as Trim Kits or a used part, or we are waiting for delivery from a supplier. If you put this item into your basket it will generate an order request. No payment will be required. One of our Stores personel will reply to your email or give you a call with details of availability and time scale. E.G. a complete trim kit could take up to 8 weeks and need a careful discussion to ensure the correct goods are ordered. Please note that if you include an out of stock item in your order it will turn the whole order into a 'request quote' email. If you have parts you need urgently then please keep your request order separate. If you have ordered from us before, please have your Charles Ware customer number ready. Give us the make, model, year, and commission number or VIN of the vehicle for which you are ordering. Include mention of any modifications which may affect your order (eg. Disc brakes or suspension upgrades) If you have a Charles Ware catalogue, have the part number, description and quantity required for each item ready when you call. Having your Credit/Debit card number ready also speeds the order taking process. Please be aware that we record calls for training and monitoring purposes. When ordering by e-mail or fax, it is important to include complete name and address information plus a delivery address if different from your home address. If you have ordered from us before, include your Charles Ware customer number. If you are a new customer, be certain to include your home Post Code. Give us the make, model, year, and commission number or VIN of the vehicle for which you are ordering. Include mention of any modifications which may affect your order. Wherever possible, give us the Charles Ware part number, description and quantity required for each item ordered. Include a phone number and/or e-mail address at which you may be contacted during the day. If you do not wish to provide credit card information by e-mail, include a phone number at which you may be reached during the day. The cost of Postage and Packaging is not included in the price of goods. In the UK we use First Class Royal Mail up to 1kg or small parcel. Over 1kg or medium parcel we send your package by Parcel Force courier. This is traceable, guaranteed and reliable. On smaller items we can also send via Royal Mail Special Delivery guaranteed. Online post is set to below £30 for first class post and all other carriage is by courier. Some items will have a delivery cost overide due to their size or value. E.g. gearboxes, wings or hood frames. Where your order is overseas and needs an international courier the carriage costs has to be calculated after the goods are packed as the courier companies charge by volume (volumetric scale - size of the packet) as well as weight . We can give you a rough idea over the phone but can’t guarantee that this estimate will be the final charge. For EU and non-EU countries we can send low value and small items via Royal Mail International Small packet, which is cheap but has no tracking number. Or we can send smaller items Royal Mail International signed for. This method has a tracking number. For more expensive or larger items it is our policy to send international parcels by courier. This method has the security of tracking and insurance in the event of a lost or damaged shipment. We endeavour to send out orders as quickly as we can and usually get orders shipped on the day of order. However, in busy periods or where we are waiting for stock, this is not always possible so please allow 3-5 working days for delivery. Where items are not in stock we will discuss with you whether you wish them to be sent on afterwards or to wait until all parts are in stock before we send them to you. If you wish to order your parts in advance of a visit to the centre you can use the collection option in the Delivery options. A note in the Delivery instructions to inform us when you are coming would be very helpful and we can have your goods ready to go. Unfortunately we are not at the stage where we can deliver it to a superstore near you. One day maybe. Unfortunately email Phishing scams are rife and nearly all companies get caught in 'spoofing'. This is where an email purporting to be from a business or friend asks for money, to pay an invoice or to confirm personal details. The Display name will appear to be from a trusted source but the email address itself will be a random address unrelated to the company. Please always check that the email address is a verifiable one. If a request comes through to your inbox about an invoice you have not paid please remember that we do not ship any goods until the invoice has been paid. So we will not ask for payment for outstanding invoices. Also we will sign off personally as one of the members of staff. Do not call any phone numbers that are not genuine numbers that appear on our website or literature. Do not click on any links or reply to any emails that haven't come from our genuine address. If you don't recognise a transaction or request for parts please contact us independently using details from our website. If you have ever received a spam email pretending to be from us we are very sorry for the inconvenience. Our computer security is compliant and constantly updated so be assured that all transaction and financial details are safe. Remember stay vigilant and if in doubt verify independently. Some of the parts that we provide are used as they are no longer manufactured. These parts have to come via our workshops and rely on workshop time to source. The prices may vary from those listed if a part has to be removed from a car. Lead times may vary depending on availability. Please bear in mind that if you are asking for a used part because you want to improve appearance, the part you already have may be in better condition than one we can provide. Please be prepared to send a photo of your part so that we can compare finish. Where large items such as differentials are being reconditioned on site we do depend on using original parts. Please discuss with the workshop your goal and expectations as we do not like to dissapoint yet are limited in what can be achieved by the parts available to us at the time. N.B. We can only provide used parts IF AVAILABLE. Please be aware that if goods are damaged in transit and it is the fault of the courier you must take a photograph of the box and damaged parts and send it to us as soon as possible. The window for getting any compensation from courier companies is 14 days. Therefore we need to be informed asap to deal with the problem. Do Not Sign For Any Parcel That Appears Damaged. Ask them to return it to sender and we will repack and resend. Or open it to see if any damage has been caused to your parts. If you wish to cancel your order please contact us by phone or email within 14 days. You will be entitled to a full refund as long as the goods are returned in accordance with our Returns Policy below. If all goods not required or wrongly ordered are returned within 14 days from the point of purchse a full refund will be given as long as the goods are returned. Where we are asked to replace or return a part that has been ordered in error there may be a 15% admin and restocking fee after 14 days from the point of purchase. Several types of goods are exempt from being returned. Eg. hazardous materials, or flammable liquids or gases. Additional non-returnable items: Where specific workshop time has been added. Eg painting a panel. We have no obligation to return any item not in its original condition, is damaged or missing parts for reasons not due to our error. Or has been fitted and been removed. We also reserve the right to not refund any item that is returned more than 30 days after delivery. All parts are fully warranted against defects in materials and workmanship for a period of twelve (12) months from the date of purchase. In most cases, warranty will not cover labour, failure of a related component, failure resulting from incorrect installation or misuse, nor would liability exceed the cost of the original component. During the warranty period, please contact us immediately at the point of purchase if any problems occur. We will then advise you, before replacing the failed component, as to the best course of action. WITH ALL CLAIMS, A COPY OF THE PURCHASE INVOICE MUST BE PRODUCED. When buying parts & accessories for your car please be aware that we specify a product for original specification, standard cars. If your car has been modified or altered from standard specification, or you are unsure, please contact us for advice as it could affect the fitting of the parts or accessories. 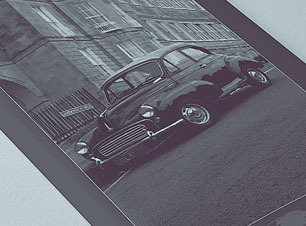 Where possible we will notify of fitment issues in our catalogue. Charles Ware’s Morris Minor Centre ltd conforms to international shipping regulations regarding packaging and transportation of Hazardous Goods by road and sea freight. Due to these international shipping regulations and licencing rules all goods deemed as Hazardous are currently available for shipping to the UK and Europe only. If a part number displays the ‘Hazardous Goods’ banner, the product is Hazardous and we will only be able to ship it to you if you are in the UK or Europe. Payment for other orders may be made by personal cheque (to the card guarantee limit), Certified Bank Draft, credit or debit card including: Mastercard, Maestro, Visa. If you intend to make payment by Cheque, Bankers Draft or bank transfer confirm parts availability and carriage charges first. Parts will be sent when the cheque has been received and cleared. We thank you for your patience. We only replace items if they are defective or damaged. If you need to exchange it for the same item, send us an email at parts@morrisminor.org.uk and send your item to: Charles Ware’s Morris Minor Centre Ltd, 20 Clothier Road, Brislington, Bristol. BS4 5PS. To return your product, you should mail your product to: Charles Ware’s Morris Minor Centre Ltd, 20 Clothier Road, Brislington, Bristol. BS4 5PS. You will be responsible for paying for your own shipping costs for returning your item. Shipping costs are non-refundable. If you receive a refund, the cost of return shipping will be deducted from your refund. Depending on where you live, the time it may take for your exchanged product to reach you, may vary. If you are shipping an item over £60, you should consider using a trackable shipping service or purchasing shipping insurance. We don’t guarantee that we will receive your returned item.